If you are seeking colour and impact this dramatic necklace is perfect. 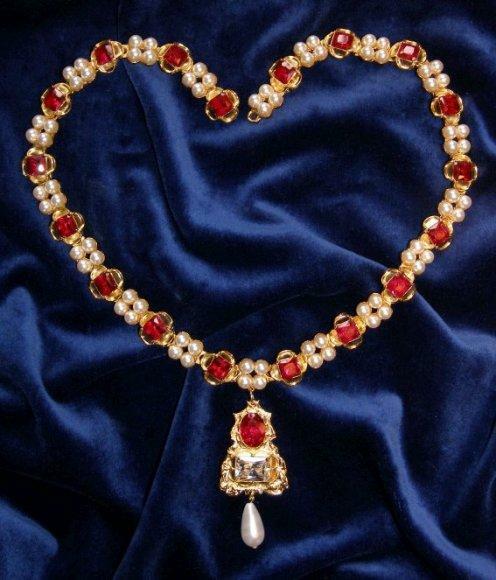 Based on the necklace shown in the Holbein portrait, this version is set with synthetic rubies and swarovski pearls. The pendant features a large synthetic ruby and diamond (cz). Length twenty and a half inches (52cm).